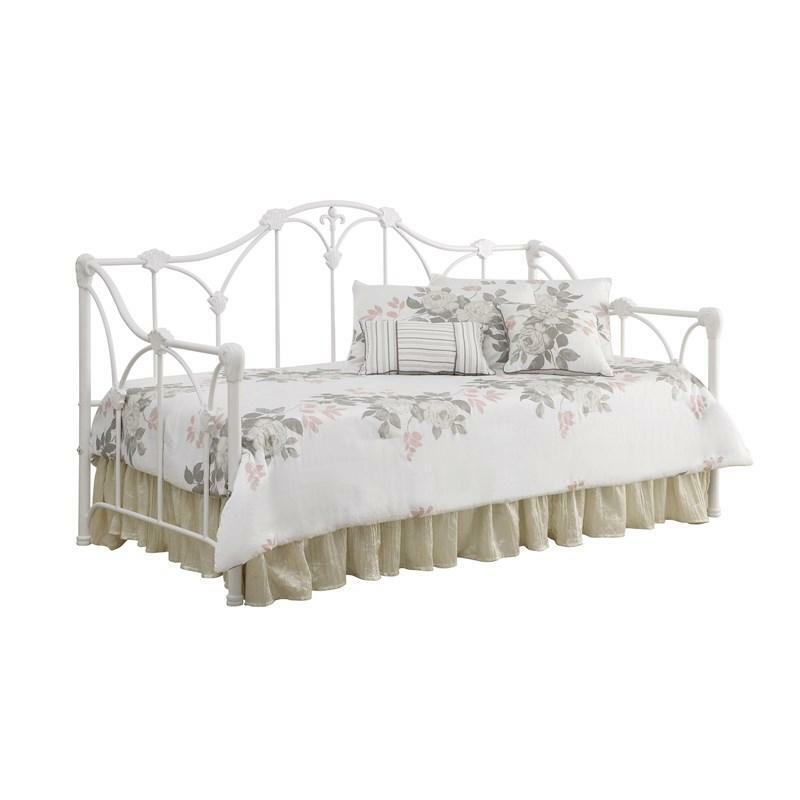 Tradition and beauty meet in this elegant daybed. Three sides make up the frame which consists of a beautiful mixture of metal and wood. The metal scrolling offers a soft, sandy black touch. The corner posts are wood finished in a warm cappuccino. Volume 4 cu. ft. / 0.11 cu. 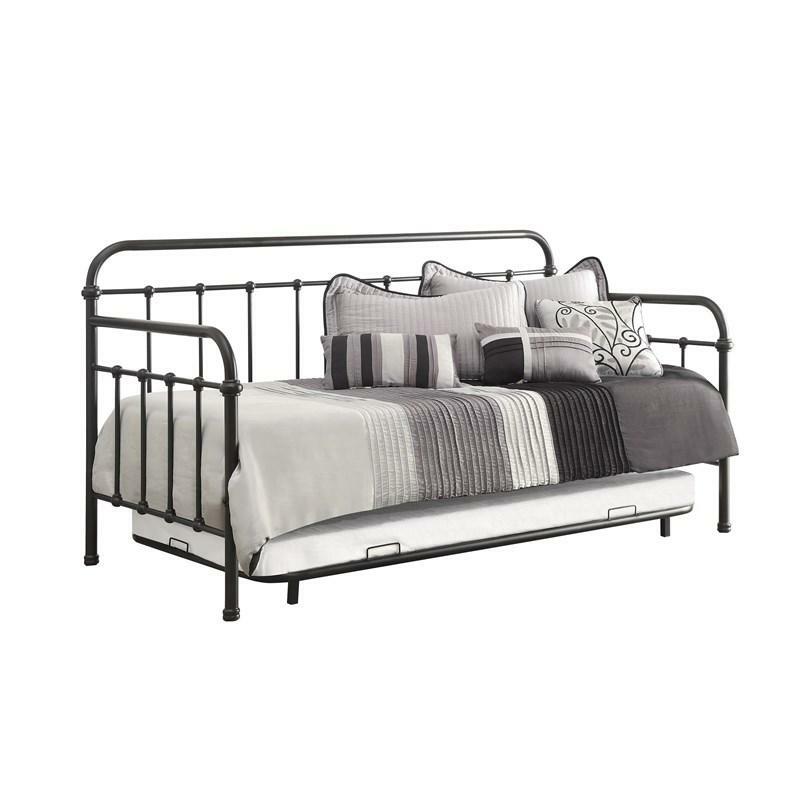 m.
Industrial and chic were the inspirations for the design of this daybed. 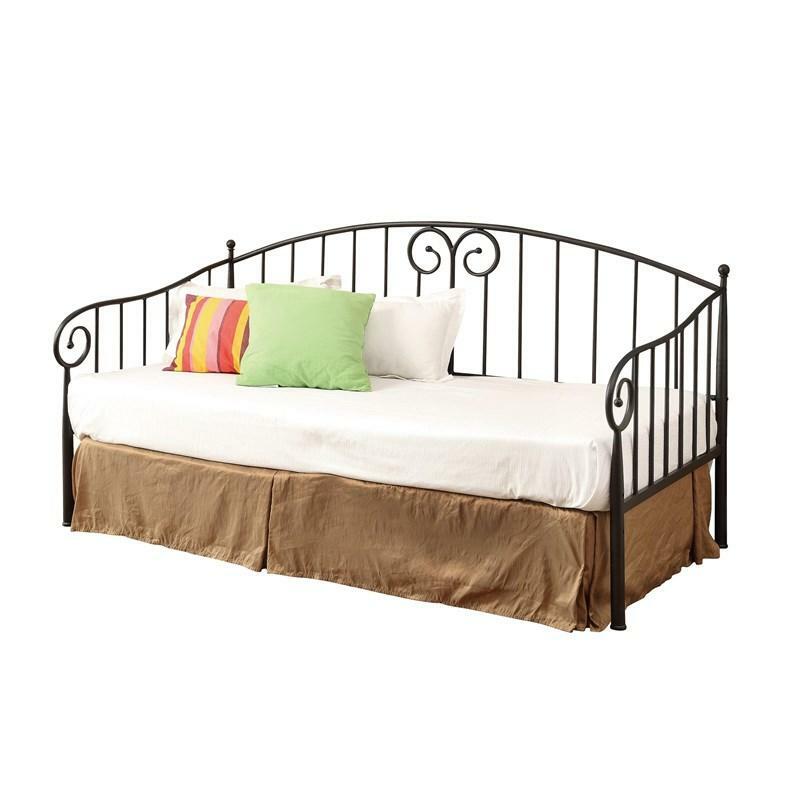 Constructed of strong metal tubing, this daybed is finished in dark bronze. The thick top frame brings a masculine look. 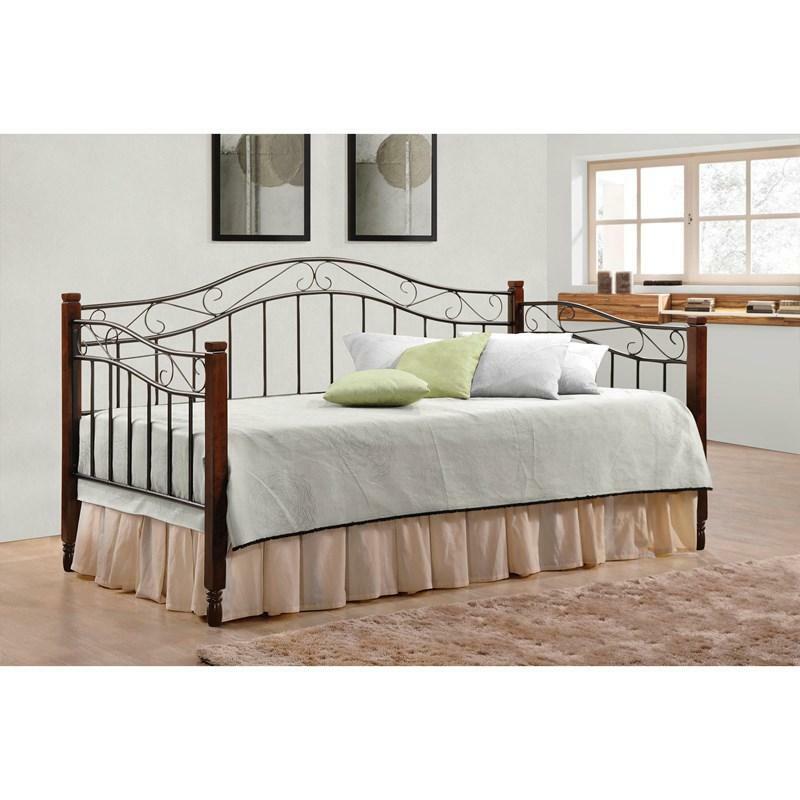 The under bed trundle is included.